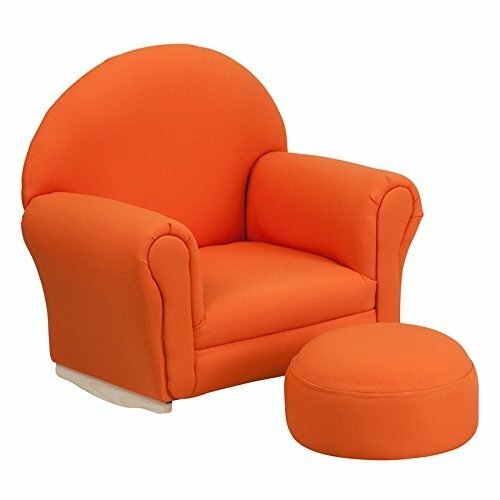 The Kids Fabric Rocker Chair is a great place for kids to watch TV, play video games or read their favorite book.This cute little rocker with rolled arms and its matching footstool are filled with CA117 fire retardant foam and upholstered in easy to clean Fabric. Durable and sturdy, this chair will hold up to 88 pounds. It's lightweight, easily moved from room to room and the wood base is curved for rocking. The kids rocker and footrest makes your child feel extra special with his or her very own chair!